The finest array of products we deliver is manufactured using only exceptional quality inputs (raw material). We make certain that the material (inputs) used are of high grade. Only high-grade packaging material has been used for the safe packing of the products. Thus, we make sure that our customers will get only damage-free products from our end. 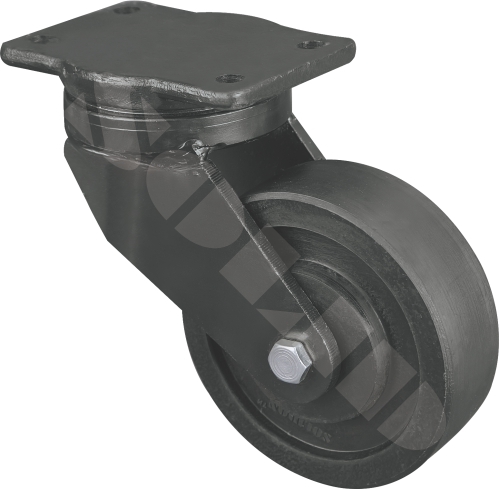 Swivel head Forged steel caster designed for heavy and impact loads. Fork clamp made from 8 mm and top plate from 10 mm M.S. plate having strong king pin welded. smooth movement of swivel caster archieved by providing Thrust bearing and Taper Roller bearing in swivel head. Dust proof nylon washer for swivel head. The wheels are fitter with double ball bearings which helps the caster to roll smoothly. Availble swivle lock and wheel lock. These casters are cost beneficial in the long run by replacing torn- out bearings. usage. The life of the caster can be extended considerably.